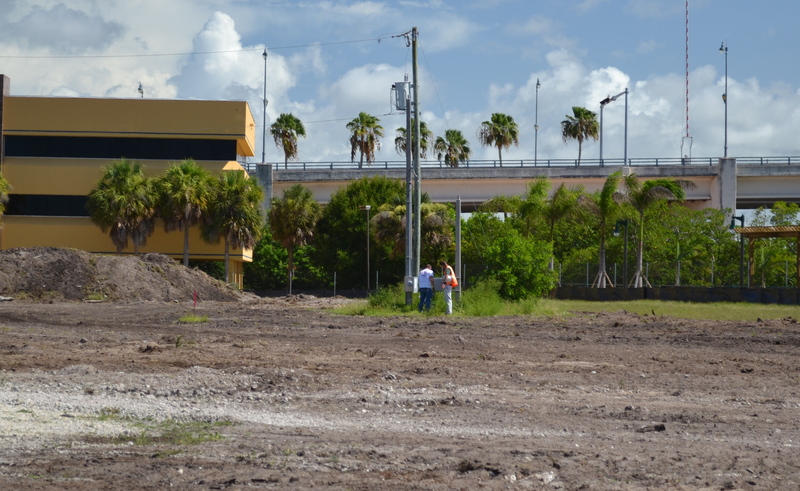 With permits in hand, the construction team at the Harbourside Place project have begun the tedious process of demucking the facility to make way for the building foundations. Due to the sandy make up of the soil in the area, the construction crew will need to remove all of the sandy soil from the project and replace with acceptable sub grade material upon which to build. The crews have disconnected all power and water to the site in order to begin demucking, as well as installed all of the silt fencing to prevent run off from the site. With bulldozers already beginning to clear the top layers of soil, a slew of machinery has begun to be dropped off at the project in preparation for the multitude of work to be completed. Please see the photos and videos of progress and look forward to the upcoming updates, as the project constructions continues to be completed. 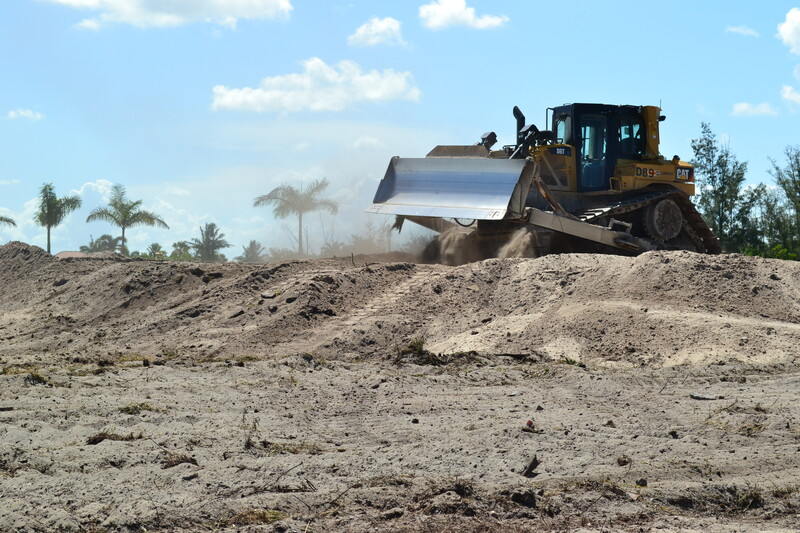 Bulldozers begin to remove the top layer of soil in preparation for demucking. 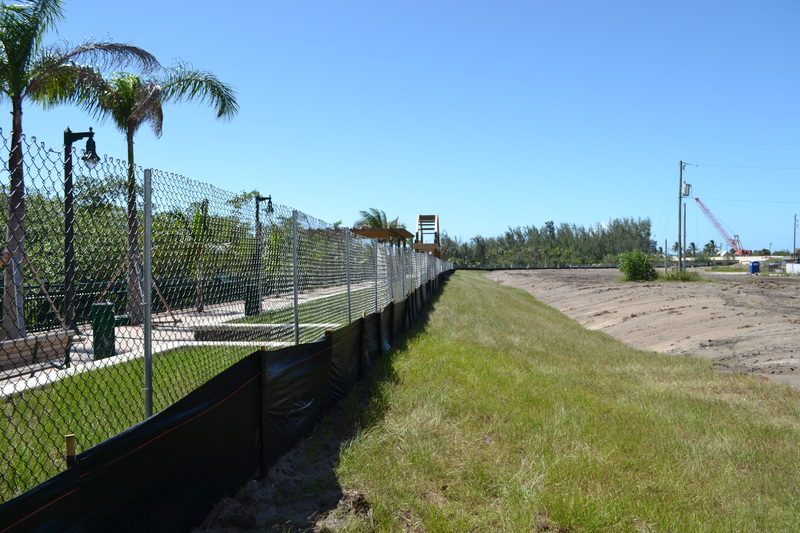 Silt Fences have been installed to prevent run-off at the project. Workers have disconnected the live power in order to begin demucking in the area. 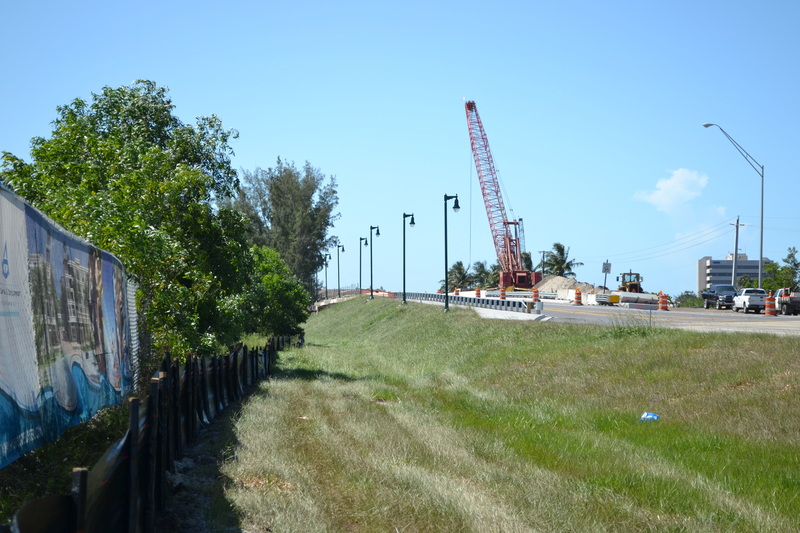 The first half of roadwork has been completed on US 1 Highway adjacent to Harbourside Place, which will feature a continuation of the Jupiter Riverwalk.